This is the story of PhD research carried out by Bastian Egeter, an Irish herpetologist and molecular ecologist who, until recently, was studying and working in New Zealand. I arrived in New Zealand in 2008 to undertake a postgraduate diploma in wildlife management at the University of Otago and became enamoured by the country’s incredible endemic amphibians. Incredible, not for their diversity (totalling four species of frog), but for their utter uniqueness and primitive characteristics – some aspects primitive to the point of being laughable. All four species belong to the family Leiopelmatidae, which diverged from all other frog lineages over 200 million years ago. Leiopelma tend to walk and, although they can jump, their landing tends to end in a comical and rather ungracious belly-flop. Unlike most frogs, they lack eardrums and vocal chords and possess ventral inscriptional ribs, the latter possibly providing protection for their organs during such belly-flops. Leiopelma are generally smaller than 5 cm SVL (snout to vent length) and are highly cryptic. They also retain tail-wagging muscles, despite having no tail. Three of the four species are entirely terrestrial, while the fourth, Hochstetter’s frog, is semi-aquatic, inhabiting forest streams. 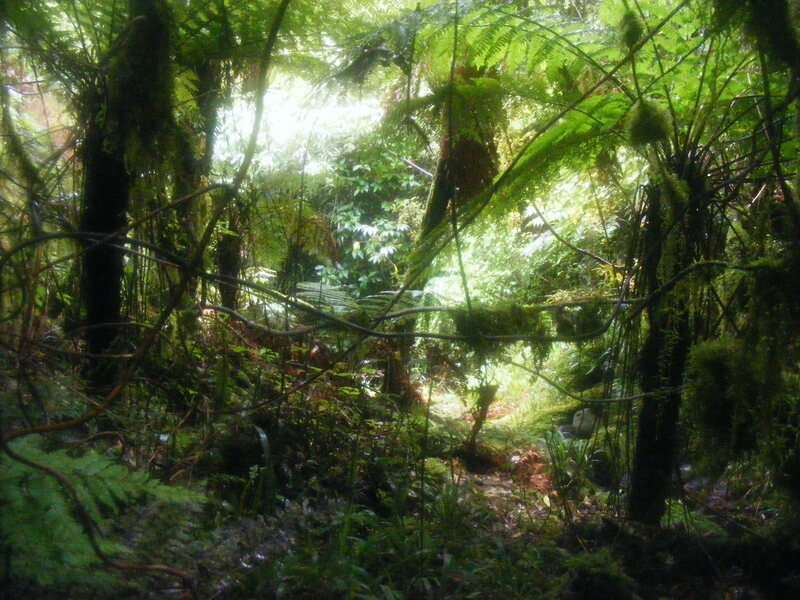 As a consequence of their characteristics and life-history, fieldwork often involves searching large areas of New Zealand’s coastal and mountain forests at night for small, camouflaged, silent frogs that don’t move very often – no easy task! All four species are ranked within the top 60 most Evolutionarily Distinct and Globally Endangered amphibians in the world, with Archey’s frog topping that list. The current native frog recovery plan considers the primary threats to be predation by rats and other introduced mammals, habitat loss and modification, disease, toxins, herbicides and climate change. While doing a small project for my PgDip on native frogs I found 13 published articles implicating introduced mammals for the decline of Leiopelma. New Zealand has only two native non-marine mammals (both bats) and 31 introduced mammals present in wild or feral populations. When trying to pin down exactly which introduced mammal species were being implicated I noticed that the evidence was primarily circumstantial – the extinction of three Leiopelma species and the range contraction of the currently extant species occurred synchronously with the arrival of the first introduced mammals in the 13th century AD, which were humans, Polynesian dogs and Pacific rats. 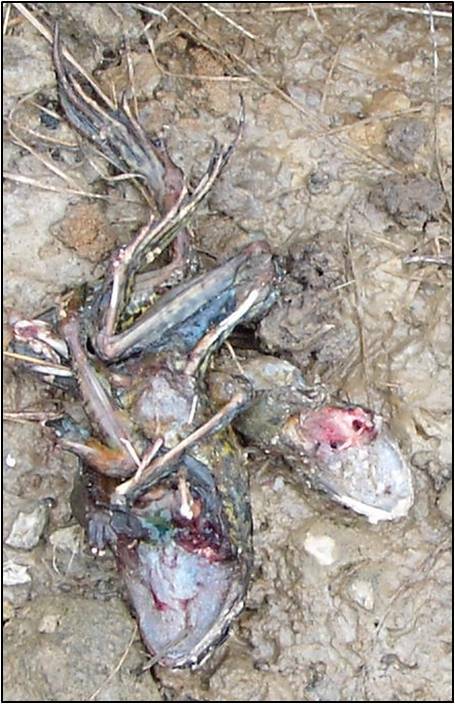 A few dead frogs were also found with apparent rat bite marks in 1993 and one stoat in 2005 was sighted carrying a dead frog. Studies had been carried out comparing frog abundance in areas where mammalian predators had been removed against those where no predator control was implemented, but the results were varied, often due to the variability in detecting the small cryptic frogs across sites and time. There had so far been no studies aiming to quantify direct evidence of predation. After chatting with Professor Phil Bishop (frog expert extraordinaire) about this, he agreed it was worthy of study and took me on as a master’s student. The original plan was simply to kill-trap for small mammals (e.g. rats, mice, hedgehogs, stoats, ferrets, weasels) and then inspect their stomach and gut contents for remains of frogs. We decided that before getting into the field it would be helpful to observe a wild rat consuming a frog under laboratory conditions, and it was here we noticed a problem. The ship rat did indeed consume the frog (in this case a euthanized Australian bell frog), but it meticulously and selectively consumed only the soft tissues, neglecting to ingest any skeletal components. Further feeding trials revealed a similar outcome for mice and although hedgehogs and laboratory Norway rats invariably ate entire frogs, it was often prohibitively difficult to identify the prey items from resulting stomach contents, due to the high level of mastication. At around the same time back in Ireland, Dr. Chris Smal, my former employer and mentor, found common frog carcasses that had only been partially consumed, with rat droppings nearby, indicating perhaps that this occurs regularly. How could we reliably detect whether a small mammal we trapped in the wild had recently eaten a frog, let alone determine which species of frog he had eaten? We found the answer in DNA. The use of DNA to identify prey material in predator stomach or faecal samples is rapidly gaining popularity to study trophic interactions. This is where Dr. Bruce Roberston, conservation biologist and molecular ecologist, came on board as a co-supervisor. We designed primers to target frog DNA, while ‘ignoring’ all other DNA that may be present in gastrointestinal samples. It was finally time to collect field samples. New Zealand fieldwork can be very remote and one of my sites was a two hour drive from the nearest village to the start of a walking track that took a further two hours to climb to a very small hut that only frog researchers are allowed access, situated in the forest at about 700 m asl. It took two of us three days to hike in our gear, mainly kill-traps for collecting mammal stomachs and bait tubes for collecting faeces. 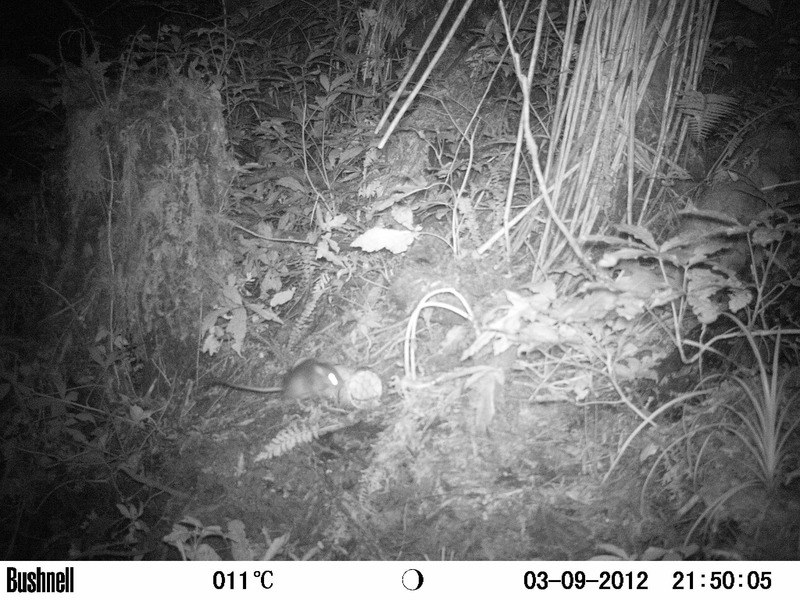 New Zealand conservation generally relies on the removal of introduced mammals, so conducting kill-trapping studies there is commonplace. At this stage, the project had become larger than originally anticipated and I was upgraded to PhD candidate status. In total, we collected 191 rat stomach samples, 131 rat faecal samples and 15 stomach samples from a number of other introduced mammals. Furthermore, we obtained 184 pig stomach samples from hunters contracted for pig removal by the Auckland Council. A total of six samples tested positive for the presence of frogs as prey (5 for Archey’s frog and 1 for Hochstetter’s frog). 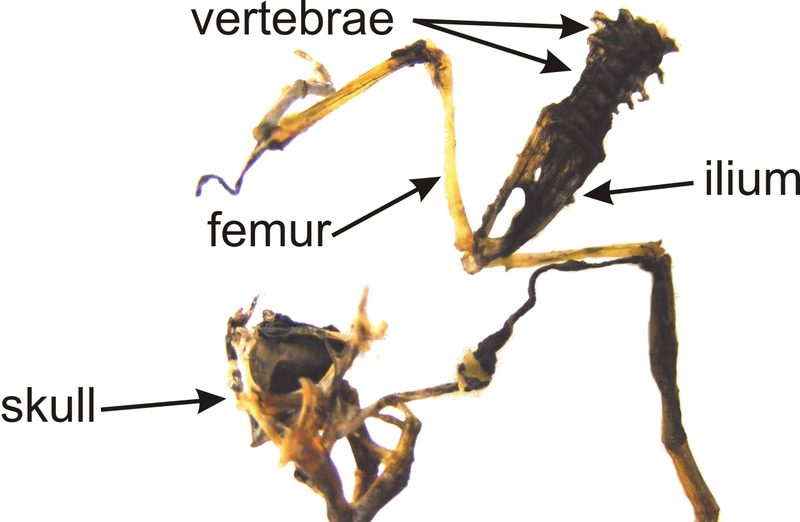 Using morphological analysis, none of the ship rat stomach contents were found to contain remains of frogs. It was only using DNA-based analysis that predation events were detected. Six does not sound like a large number given the number of samples I collected, but modeling these results along with measured rat densities, estimated frog densities, the availability of frogs on a given night and the prey detection periods we measured in the lab, we estimated predation rates of between 146 – 730 Archey’s frogs being consumed per ha annually. Unfortunately, we don’t have a lot of data on Archey’s frog populations so this could be anywhere from 1.5 to 28.1 % of the population. In any case, it provided strong evidence that rats are having a significant negative impact on native frogs in New Zealand. The results were forwarded to the Department of Conservation as part of a case for control of mammals in native frog habitat and, along with many other considerations, they are due to carry out major pest removal operations in one of the few stronghold populations of Archey’s frogs, hopefully benefiting their conservation substantially. New Zealand also has three species of introduced Australian frogs (Litoria spp.) and these were also identified in pig and hedgehog stomach and faecal samples. This area of forensic science, made particularly powerful with the recent advances in next-generation sequencing technology, has the potential to be applied to any prey species and any predator species. It has also been used to detect the presence of amphibian species from water samples and is likely to be efficient for identifying tadpoles as prey in fish or other predator stomach contents. Amphibian conservation worldwide would benefit greatly from research focusing on known or potential predators and there is enormous scope for such studies to be carried out, even where prey undergo heavy mastication or where only soft body parts are eaten. About the author: Dr. Bastian Egeter has recently returned to Ireland and hopes to continue working in amphibian / molecular ecology research and education. 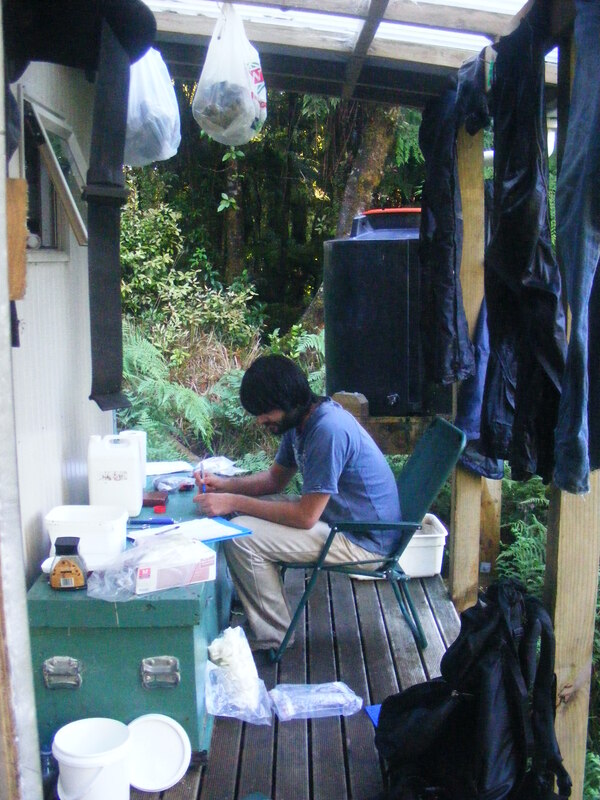 For more on his research and community involvement please visit: NZFROGS, Orokonui Ecosanctuary Interview, Science Notes – Frogs.